The Japanese International Cooperation Agency has granted Tanzania 33 million USD in order to facilitate the construction of the Tazara flyover at the Nyerere Road and Nelson Mandela Expressway intersection and a 16 million USD loan for poverty alleviation through the General Budget Support. Tanzanian Minister of Finance and Economic Affairs expressed gratitude to Japan for their unwavering and continued support to Tanzania’s socioeconomic development. Tanzania’s international trade and relations is significantly benefiting the country with states as far as Japan continue to invest in the East African nation. Japanese Ambassador to Tanzania Masaki Okada said the flyover will improve operations at the Mwalimu Nyerere International Airport and the Dar es Salaam port, increasing efficiency and reducing costs will be added benefits. 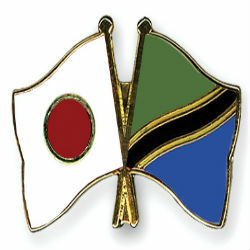 Tanzania and Japan trade and relations date back since the 1960s with cooperation between the two nations presiding over matters of social and economic infrastructure, today as Tanzania’s market endowed with abundant resources, Japanese companies show an avid interest in developing trade and cooperation.